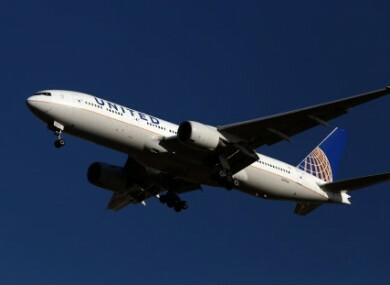 A UNITED AIRLINES flight made an emergency landing at Shannon Airport this afternoon. It happened at around 2.30pm, and made a safe landing. The flight was travelling from Belfast to Newark Airport in New York. It took off from Belfast at 11am and was due to arrive in New York at around 2pm local time. However, it’s understood that the plane was flying over county Clare for some time before landing to burn off fuel. United Airlines flight (UA-76) en route from Belfast International Airport to Newark which diverting to Shannon Airport having declared an emergency landed safely at Shannon Airport at 14:28. Press Association reporter Lesley-Anne McKeown was on board the flight and has thanked the captain and crew through social media. Full praise to staff on UA076 from Belfast to Newark. Scary at times but thankfully all good in the end. Hats off to the crew & captain! Email “United Airlines flight makes emergency landing at Shannon Airport ”. Feedback on “United Airlines flight makes emergency landing at Shannon Airport ”.